A legendary diva who forgets her lines. The non-famous, sometimes actor paid to remember them. 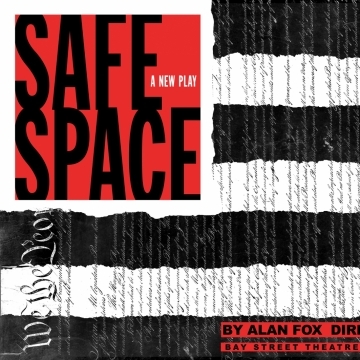 By popular demand, the hit of Bay Street's 2018 New Works Festival takes its premiere bow! THE PROMPTER follows veteran actress Irene Young, who, after a forty-year absence, is returning to the Broadway stage. But now, she can’t do it alone; so the production hires a young actor to be her prompter. But, this isn’t her story, it’s his. 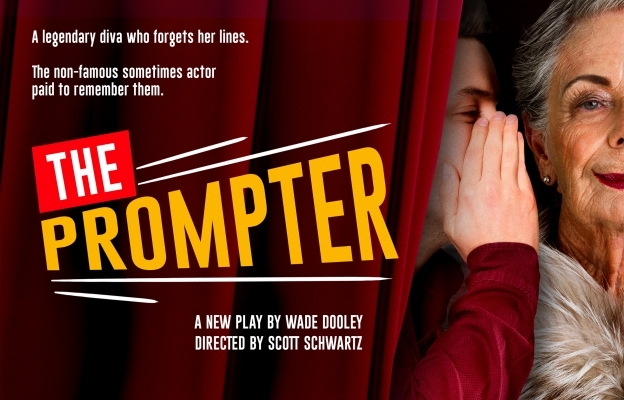 Based on real events, THE PROMPTER is a funny, heartfelt, untold, behind-the-scenes look at Broadway through the eyes of a young dreamer. Wade Dooley (Playwright/Wade) is a writer/actor living in Jackson Heights, Queens. Some favorite writing credits include Broadway Bares: Rock Hard, On Demand, and Strip U with co-writer Hunter Bell, Stars in the Alley with host Tituss Burgess, The Diary of a Dancer (Best Solo Show 2010 DC Fringe Fest). Wade is an alumnus of Running Deer Theatre Lab, Goodspeed’s Johnny Mercer Writers Colony, Finger Lake’s Musical Theatre Festival’s The PiTCH. As an actor, some favorite credits include Film: The Last Five Years. Theatre: NEWSical The Musical, The Awesome 80s Prom, La Cage Aux Folles, The Roar of the Greasepaint-The Smell of the Crowd. Tour: Jersey Boys, The Trip to Bountiful, The Radio City Christmas Spectacular. Wade is represented by Ben Izzo at Abrams Artists Agency. He is a graduate of Bradley University. Scott Schwartz (Director) is the Artistic Director of Bay Street Theater. Most recently, he directed the world premiere of the new musical The Prince of Egypt at both TheatreWorks Silicon Valley in California and at Fredericia Teater in Denmark. As a director, he has worked on and off-Broadway, in major regional theaters across the country, and in the UK and Japan. On Broadway, he directed Golda’s Balcony and Jane Eyre (co-directed with John Caird). Off-Broadway, he directed Murder for Two, Bat Boy: The Musical (Lucille Lortel and Outer Critics Circle Awards, Outstanding Off-Broadway Musical; Drama Desk Award nomination, Outstanding Director of a Musical), tick, tick…BOOM! (OCC, Outstanding Off-Broadway Musical; Drama Desk nomination, Outstanding Director of a Musical), Gigantic (Vineyard), The Foreigner (Roundabout), Rooms: A Rock Romance, Kafka’s The Castle (OCC nomination, Outstanding Director of a Play), and No Way to Treat a Lady. At New York City Opera he directed Séance on a Wet Afternoon. The regional theaters he has worked at include ACT, Alley, Alliance Theatre, Berkshire Theatre Festival, Dallas Theatre Center, Denver Center, The Geffen, Goodspeed Opera House, La Jolla Playhouse, Old Globe, Pasadena Playhouse, Philadelphia Theatre Company, Signature, Theatre Under the Stars, and Westport Country Playhouse among others. He is a member of the Stage Directors and Choreographers Society and a graduate of Harvard University. The first performance on Tuesday, May 28 is a Pay What You Can performance, sponsored by Sotheby's International Realty. On the day of the performance ONLY, a limited number of Pay What You Can tickets will be available at the door on a first come, first serve basis. Pay What You Can tickets are only available in person at the Box Office, and are not available online or over the phone. 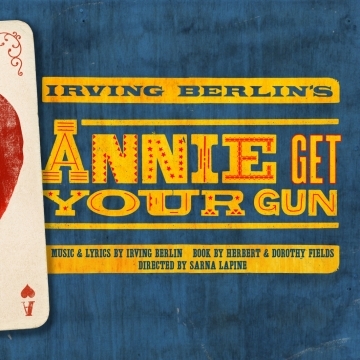 July 30 - August 25 Previews: July 30 - August 2 Sponsored by Peconic Landing Opening Night: August 3 The first performance on Tuesday, July 30 is a Pay What You Can performance, sponsored by Sotheby's International Realty. On the day of the performance ONLY, a limited number of Pay What You Can tickets will be available at the door on a first come, first serve basis. Pay What You Can tickets are only available in person at the Box Office, and are not available online or over the phone.